Dr. Li obtained his BSc and MSc degrees in Electrical Engineering from Harbin Institute of Technology (HIT), China. He obtained his PhD degree in robotics from the Department of Engineering Science, Oxford University, UK, in 1993. From 1993 to 1995, he worked as a research staff in the Department of Computer Science at the University of Wales, Aberystwyth, UK. He joined City University of Hong Kong in 1995. Dr. Li's research interests include robot vision, visual tracking, robot sensing and sensor based control, mechatronics and automation. In these areas, he has published over a hundred papers in refereed international journals. 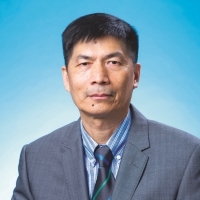 He is an associate editor of IEEE Transactions on Automation Science and Engineering (T-ASE).